In buildings where high tech equipment are stored and precision operations happen, there’s a fine line between cleaning up and damaging expensive assets. Specialized environments require very specific maintenance processes to protect technology assets and keep facilities running smoothly. Regular methods just won’t cut it when sensitive electronics and machinery are involved. Fortunately, Valor Janitorial is trained and experienced in this area and here to address that need. 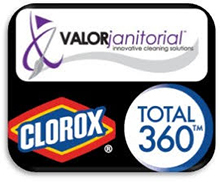 Valor Janitorial is a provider of technology building cleaning services in the Dallas-Fort Worth area. We specialize in janitorial services and office cleaning for IT facilities, medical facilities, labs and businesses that use high-tech equipment. We’re great at disinfecting, eliminating dust, grime and other particles that can hinder the normal performance of your equipment. Our cleaning services are delivered at a quick pace that allows for minimum work downtime while providing maximum security to the technology assets in your building.